Kingdom Cuisine is dedicated to bringing the magical food at Disney to the spotlight with reviews, recipes, and tips and tricks to dining at Disney parks, resorts, and cruises. Walt Disney World alone is home to over 300 dining locations ranging from quick snacks, to signature dining experiences. 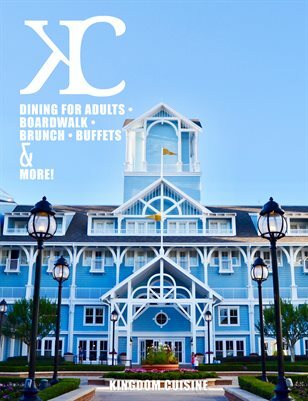 Along with recipes and reviews you will find all types of information regarding dining at Disney from reservation tips to how to save some money while going on your magical vacation!